SILVER SPRING, Md. --- A new wedding-related edict was released from the General Conference headquarters of the Adventist Church today. 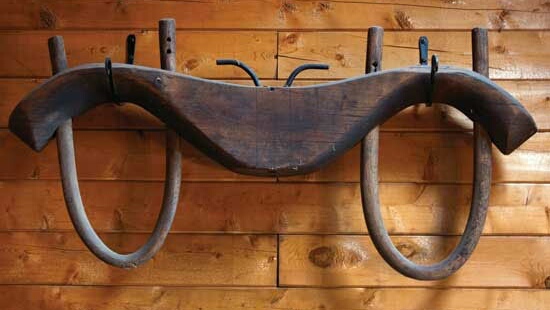 All new Adventist weddings will be forced to feature the fitting of a "perfectly-balanced wooden yoke" that the betrothed will need to wear when they are declared husband and wife. To prove that they are equally yoked, the newly married couple will be required to exit during the recessional still wearing the yoke. Any missteps or awkward wearing of the yoke will trigger an immediate 28-week course of yoked mobility instruction that church officials insist must take place before any honeymooning can occur. I know a guy who makes these things. He will measure each bride & groom for a perfect fitting. Now the yolks will be both the same size and matching. No more mismatches with the yolks. A slight charge if the couple want any kind of decorating, etching, name &date engraved, gold or silver plated, etc. Real wood or simulated wood. All made in the USA. Call me at 1-800-IMMA YOLK. No Sabbath work, please. More lies to mislead the public. It is not labeled “Adventist satire and humor” – that disclaimer has been removed from the top of this page. A lot of people never noticed it even when it used to be at the top of the page. It’s even more misleading now. That’s why it is Fake News. Not only fake, but also makes us look stupid in the eyes of other denominations whose members read this and assume that it is true. THESE YOLK COME WITH AN EGW AUTOGRAPHED WHIP. Only someone totally stupid would see this as not satire! As a 4th generation, lifelong SDA (76 years), I believe we are members of a CULT ! Current leadership of the General Conference is proving that. Thank You Sevvy, for your much needed Satire and wonderful humor !